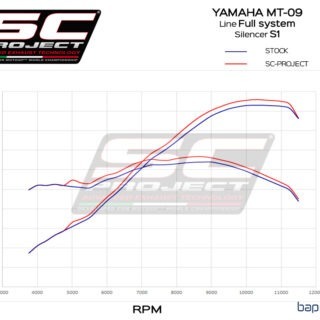 The SC-Project full system exhaust is the direct result of the research, development and design work carried out by the internal R&D department together with the major MotoGP and SBK. World Championship Teams. 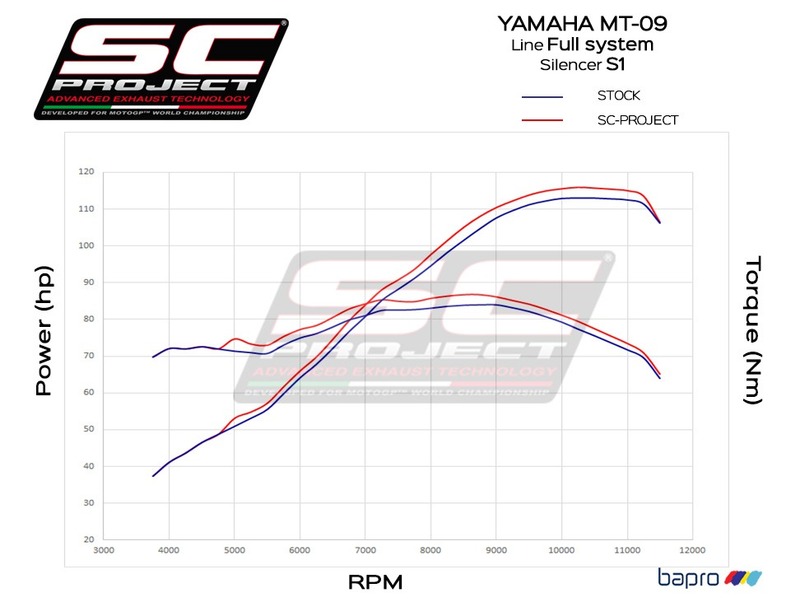 SC-Project, with the aim of improving performance and aesthetics of the standard motorbike, has created a complete unit designed to house the original lambda probe, showcases first-class technical solutions: the use of CNC machined bushings turned from solid allow the exhaust system impeccable coupling that make fitting easier and improve system performance; the implementation of a lighter system ensures better bike rideability; the production of pipes of variable dimensions guarantees a marked increase in performance both in terms of torque and maximum power through the entire bend. 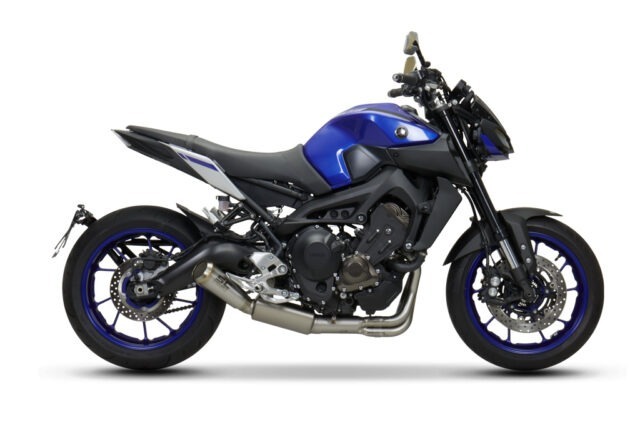 Predisposition to accommodate the original lambda sensor. 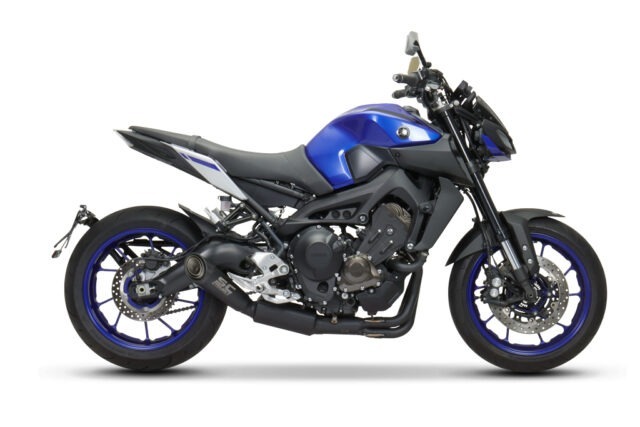 The SC-Project full exhaust system kit consists in three exhaust manifold, 3 in 1 link pipe, catalytic converter and slip-on muffler; the full exhaust system is made of stainless steel AISI 304 and fit perfectly on the Yamaha MT-09 without any modifications. 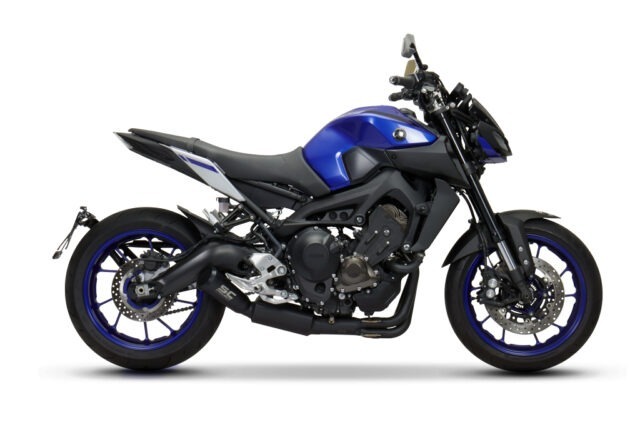 AnteriorPublicación anterior:Honda CB1000R – SC-Project new dedicated mufflersSiguientePublicación siguiente:Yamaha XSR 900 – New products available!